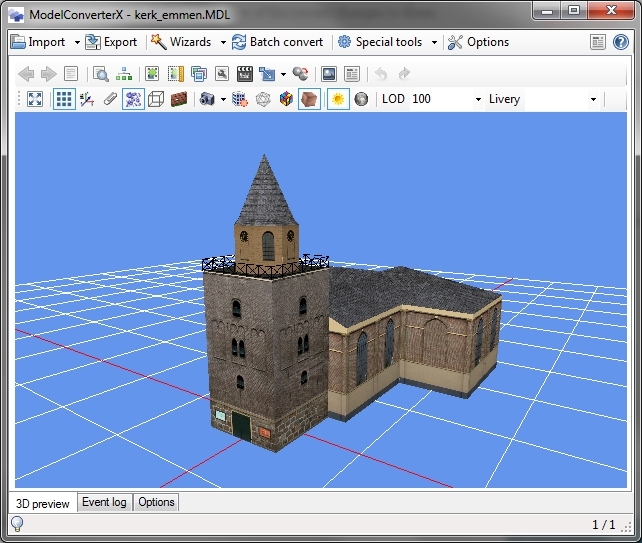 The latest stable release of ModelConverterX is version 1.3. Click here to download this version. The development release has all the latest features, to check them out use the development releases package. You can find the ModelConverterX manual on the FSDeveloper Wiki. This manual is for the latest stable release. To get support for this tool please use the ModelConverterX forum.